Dead DSL502T - When all LED's, except power, are out; even hard-reset/factory reset does not work. In my experience, it happens if you close the router configuration browser window midway while communicating with the router. i.e. you have opened 192.168.1.1 and before the page or a requested sub-page could load, you close the browser. 2. Connect the router to a LAN card on your computer. 3. If you are running a firewall, exit it / disable it / set it to allow all traffic. 4. Run the firmware upgrade utility, its an executable. 5. Check the "Corrupted Image Mode" option and click Next. 6. Follow the instructions to the word. (Don't exactly remember, but its something like this: the utility will tell you to power off the router and click "next" after 10 seconds. Then power on the router. The upgrade will then tell you a router IP. Something like, for example, your router IP is 169.1.8.1 set your machine IP to same subnet). 7. Open the TCP/IP configuration of the LAN card to which you have attached the router and set the IP address as told by the upgrade utility. In our example, router IP was 169.1.8.1, so assign 169.1.8.2 and enter the gateway as 169.1.8.1 to LAN card. 8. Run the upgrade utility again in exactly the same manner as before. If all goes well, your router will not only start working again but get an upgraded firmware too. 1. Use these files/instructions at your own risk. My advise is, do not try this unless you have a dead router i.e. you have tried and failed even the factory-reset option. Thats when you have nothing to lose. 2. It worked on my router which had the factory default, flaky firmware. Dunno if it will work on already upgraded router. 3. Router settings saved earlier as .bin files (i.e. when the router was running normally on older firmware) will not work. You will have to enter the settings manually. Gud info..everything accepted. But I dont think tht it goes dead when you close the router configuration browser window midway while communicating with the router. i.e. you have opened 192.168.1.1 and before the page or a requested sub-page could load, you close the browser.
. coz 4 me this page wudnt use 2 refresh many times & i have closed it multiple times. My router conked twice and both the times it was the same; closing a browser window which was busy refreshing router configuration page. Maybe you are using the updated firmware. yep. thats what i would do. a must be addon to the pinned main guide at MTNL forum. Mods are you listening! The links to the firmware are dead! 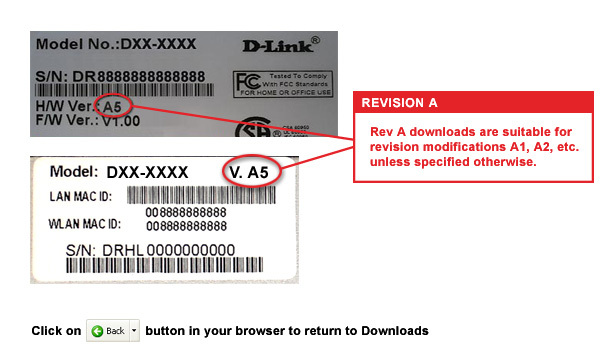 The D-Link Australia site has a link though. However, they say that it is for the Routers distributed in Australia only!!! http://files.dlink.com.au/products/_images/REV_A.jpg check your FW version. Should not make much difference as long as the board is same. How about a transplant ? Any way it is dead ! Indian dlink support site lists only GLB502T. call customer care. .D-Link Building Networks for People.. I have just talked with the Dlink support people. They promised me to mail a firmware soon. Aha!!! The router has been revived!! !Thanks to this forum I became aware of the possibility. The local dlink people gave up it as a lost case.Any forum member who needs the software please post a request here. I'll mail the software.